Hello there? How are you all? It's been a very busy week for me. 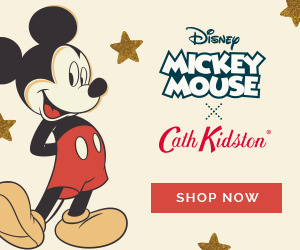 Just finish enrolling my kids. Kind of tiring and stressful but atleast now I can sit back and enjoy before another school year starts. So whenever there's a feeling like this I want to be stress free, aside from sipping coffee I do now enjoy cleaning my nails and putting nail colors. 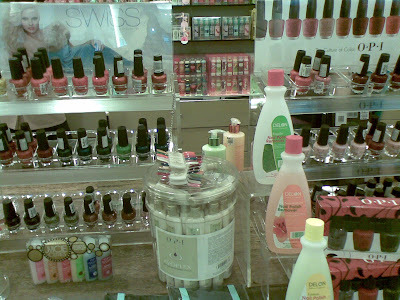 Here's some pics of nail polishes at the stores when I have the chance to drop by-finally able to buy two! One big bottle and 1 box of miniature sizes. Will try the colors first! I started putting nail polish only four years ago inspired and boost to me by a friend. I felt hesitant at first for I have the thinking that by doing so makes the nails stain in yellow and the nail bed becomes to thin (short) . I always seeing my mom and the rest whom I know who have this kind of nail beds I still remember the person whom I know who always cry whenever the manicurist cleaning her nails. So the question in my mind that time, is vanity really a sacrifice? You should have a good nail polish done but underneath it's always like a torture every time you want to clean and change polish? So I open that up to my friend and she gave her side, but in 1/2 part of my mind I want to give it a try, so then I made a research about it so here is some facts that I known from the expert. Hope it will help to beginners. 1. Be sure not to cut the nail beds to avoid ingrones. 2. Have atleast one to two weeks polish free nails so that it can breath from enamels.Use cuticle treatment religiously, this help prevent them from becoming thick and coarse from drying out. 3. 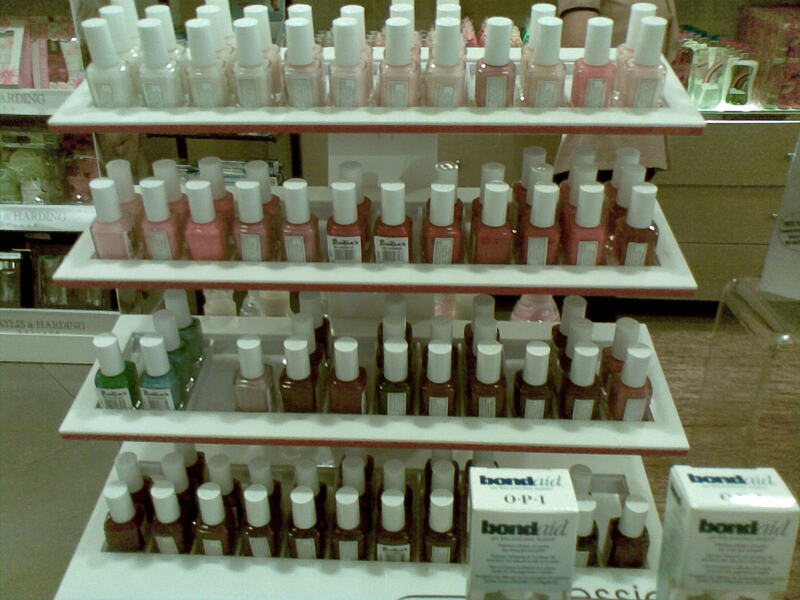 Be sure to stay only the polishes by maximum of 5-7 days. The reason is for your nails to relax and won't have a yellow stain. 4. Make sure to cut or clip only the hangnails. 5. Always have a primer, strengthener or base coat that is lotion free this helps polish to adhere better and prevent it from chipping. 6.Atleast try not to over using dark color. The darker the color the harder it is to remove and possible to have your nails stain. 8. It's also advisable to put protein colorless polish whenever your in polish free stage,acts as vitamins. 9. 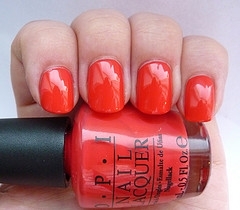 If you're polish is done by a manicurist be sure to tell her what you want, If not - be sure to change her! for it's your nails to suffer not hers, right? 10. As an add on don't forget to put hand cream.Hands often shows ones true age. Be sure not to limit your skincare regimen on your face alone. So the first bottle I used is from Sally Hansen and the rest from Orly. Now I just bought my first bottle from O.P.I. in Collins Avenue and want to try one from the miniature box of four which is Lincoln Park after Dark.I read good feedbacks on OPI from one of my fave fashion blogger Oomph.com. So what's your favorite nail polish? Posted it now. I should post this draft on the day we went to the hospital. Try to post regarding my baby tomorrow.